-Congratulations to Joe Whitney, who was named the final AHL Player of the Week for his seven point performance in 3 games this week. This is the second time this season he was given the honor…he also won for the week ending January 4th. -Mike Keenan and Ben Johnson were sent to Orlando to help the Solar Bears with their Kelly Cup playoff run, which resumes Tuesday night at home against Florida. -Stefan Matteau will be joining Team USA for the World Championships, which will take place in the Czech Republic from May 1st-15th. Raman Hrabarenka is expected to join Team Belarus in the coming days. -And finally if you’re interested, the full first round Calder Cup playoff schedule can be found here. The postseason gets underway Wednesday night. Record: 37-28-5-6, 85 points. Home: 20-12-2-4. Road: 17-16-3-2. Full listings of individual stats: Skaters. Goalies. Record: 37-28-5-6, 4th in Northeast Division, 10th in Eastern Conference, 18th overall. Penalty Minutes: 1,368 for an average of 18.00 per game. 8th. Shorthanded Goals: 6, tied for 8th. Stay tuned for Parts 2 and 3, coming up later this week! It was the perfect ending to a regular season, winning out the week. But unfortunately destiny and an 8th place finish was just not in the cards for Albany, as just after they finished their end of the job, the season would officially come to an end. First up, a visit from the suddenly reeling Crunch, who were fighting to just stay in the Northeast Division lead. The Crunch took an early lead in the first period on Yanni Gourde’s 28th goal, but Joe Whitney would answer later with his 21st to tie things up. Second period saw no goals, no penalties, not much of anything going on for either side. Then came the third…and the Devils exploded. Seth Helgeson would break the tie just 1:03 into the third with his second, then Ben Thomson would follow that 54 seconds later with an unassisted tally, his 8th. Whitney would pad the lead with his second of the night on a rare power play (only 3 combined were called the entire game). Matt Lorito would continue his stellar play with his third goal (also on a power play) for a 5-1 lead. Stefan Matteau would make it a 6-1 advantage late with his 11th. Somehow (and no one by the net other than the Crunch and Geno Binda saw this) the Crunch would score on a late power play to cut the lead to 4. But it was too little too late, and the Devils pulled out a win to cut their magic number down to single digits and move to within two points of the 8th spot. 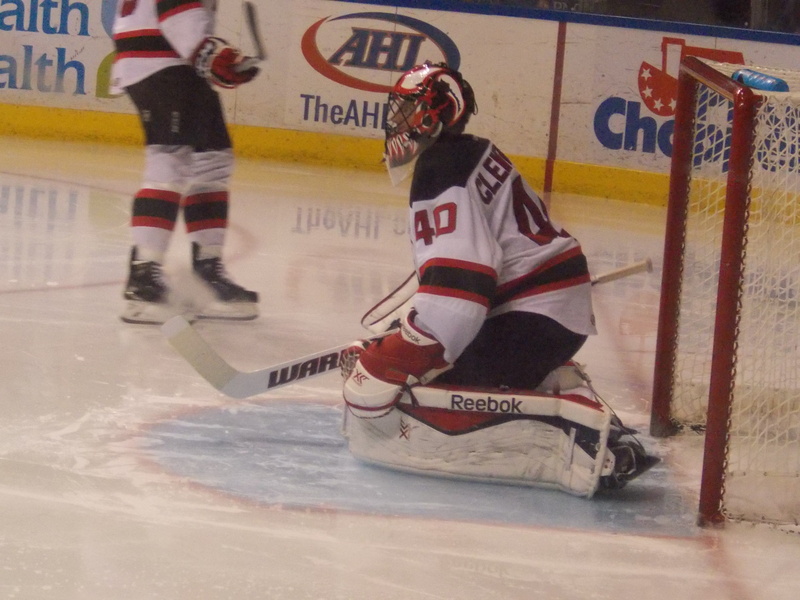 Scott Clemmensen had another great night in net, stopping 26 of 28 and picking up his 10th win. Lorito tied a franchise record with 5 points, adding 4 assists to go along with his power play tally. Reece Scarlett had two helpers, while Whitney and two others added one assist each. It was on the road to northeast Pennsylvania, where the Devils had a daunting task if they wanted to continue their playoff run…take on Rookie and Goaltender of the Year Matt Murray and the Penguins, who were fighting Hershey for the East Division title. And it was the visitors who got off to a running start, as Stefan Matteau (12th) and Joe Whitney (23rd) would score just 2:28 apart late in the first period for a 2-0 advantage. After a relatively uneventful second period, Albany turned on the jets in the third and was not about to look back. Brandon Burlon would score his 7th goal early in the period for a 3 goal cushion. 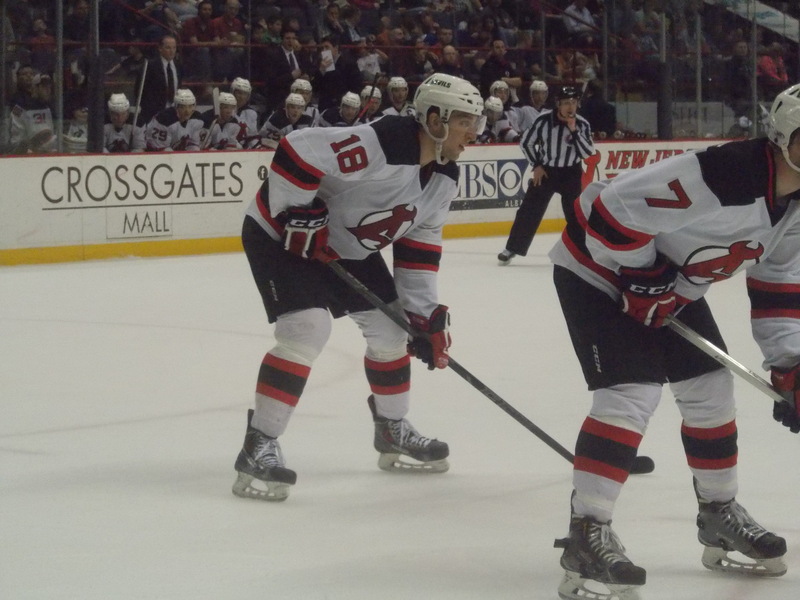 Just 2:06 later, Darcy Zajac would add his 8th for a 4-0 lead. And that was all Scott Clemmensen would need, as he would stop all 22 Penguin shots in picking up his second shutout of the season and his 11th win. Zajac, Whitney, and 4 other Devils would all have one assist each. And not a lot of penalties in this one either…only two minors were called all evening. And, well, you’ll see later on the others. And with a Portland regulation loss and a Springfield shootout loss…Albany reduced their magic number to 5 and pulled even with Portland, both teams one point behind the Falcons going into Saturday. AHL Live highlights can be found here. 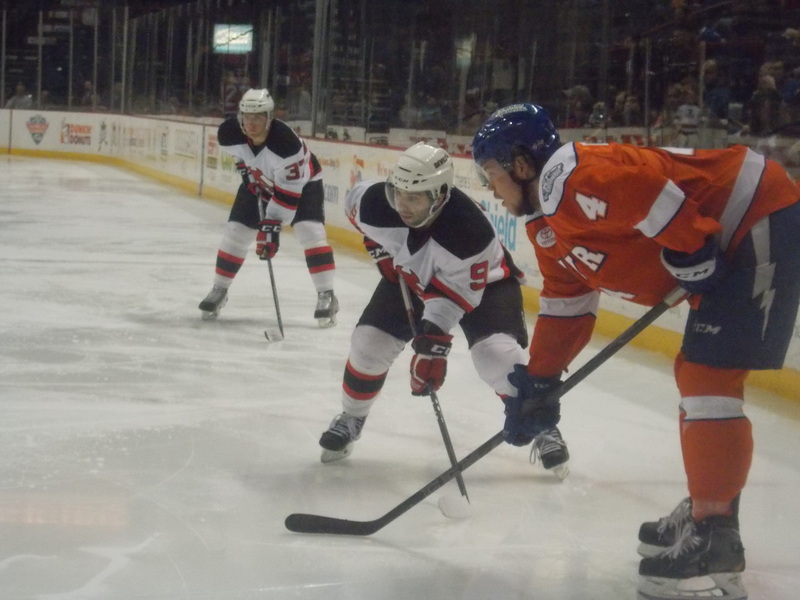 With one more win needed to control their destiny, Albany took to the ice for their season finale against the Wolfpack, who were looking to wrap up the Northeast Division title. On the first power play chance of the game, it only took 12 seconds for Oscar Lindberg to connect and put Hartford up 1-0. Brandon Burlon would tie things up with his 8th midway through the period. Just as the first was ending, Seth Helgeson was called for slashing, putting the Devils on the penalty kill to start the second period. And it only took Chris Bourque 52 seconds to score, giving the Wolfpack a 2-1 advantage. But Albany would take over the game from there, as Mike Sislo would score his 19th just 7 seconds into a double minor to tie it up. Sislo would come through again in the third, scoring his 20th on another power play with just under 6 minutes remaining in regulation for a 3-2 lead. Reid Boucher would seal the deal with an empty netter late, giving the Devils a 4 game winning streak to close out the regular season and a temporary hold of the 8th playoff spot. Another strong performance in net from Scott Clemmensen, who stopped 26 of 28 shots in net and picking up his third win of the week. Joe Whitney reached the 60 point mark for the season with two assists, while Reece Scarlett also had two helpers. Four other Devils each had assists. Unfortunately, about an hour and a half after the final whistle, Springfield defeated St. John’s 4-3 in overtime, officially eliminating Albany from playoff contention. Sad trombone. Pop Quiz: On Wednesday, Matt Lorito tied a franchise record with 5 points. 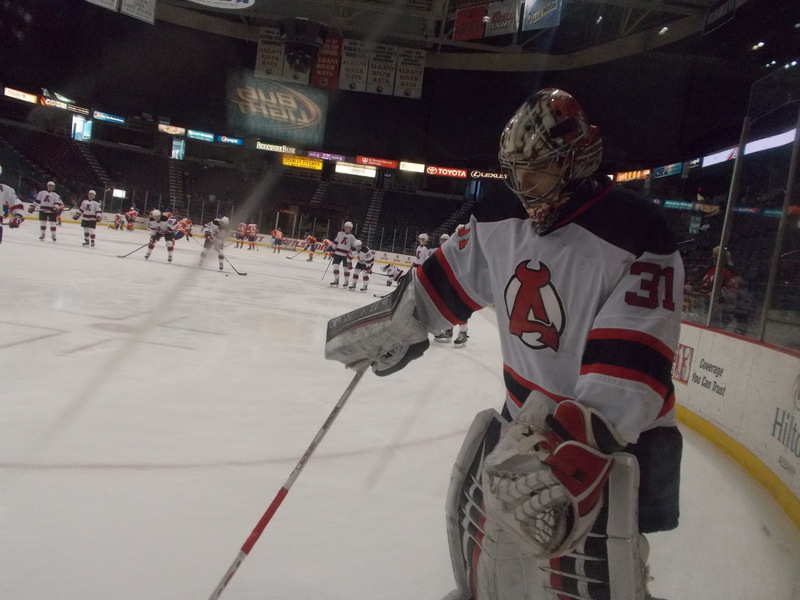 Can you name the other Lowell/Albany Devils that also got 5 points in a game? The answer is coming up. So Cam and PL3 hit the ice at the same time Friday evening and…well…I think you know what happens next. If not for Matt Lorito missing the final two games due to illness, he may have had a shot at getting the final award. But I’m giving it to our elder statesman of the team Scott Clemmensen, who went 3-0 on the week with one shutout and helped Albany stay in it. Look for the final leaders tomorrow in the first part of my season review, where I’ll have all the final numbers. Orlando is down 2-0 to Florida in their first round best of 7 series, with Game 3 coming up at home on Tuesday night. Eric Baier has appeared in both games and is scoreless with a -3. Maxime Clermont appeared in relief in Game 2, stopping all 10 shots faced in 24:38. With the season officially in the books, time for my annual 3 part season in review. Monday will have all final player stats and league rankings. Wednesday I have some fun with numbers. Finally on Friday, my favorite things about the season, featuring some superlatives! So stay tuned for all of that. I’ll keep this updated as news comes in during the playoffs for both AHL and Orlando and any signings for next year. Pop Quiz Answer: Before Matt Lorito on Wednesday, three others in Lowell/Albany have notched 5 points in one game: David Clarkson on January 12, 2007 (4 G, 1 A); Matt Halischuk on October 11, 2008 (4 G, 1 A); and Bobby Butler on December 12, 2012 (4 G, 1 A). -Albany begins the final week of the regular season with a 34-28-5-6 record, good for 79 points. They sit in 4th place in the Northeast Division, 4 points behind third place Springfield, and 10th in the Eastern Conference, trailing 8th place Portland and 9th place Springfield by the same margin. The magic number to clinch a playoff spot stands at 11, with an elimination number of 3. Season Series: Syracuse leads 6-1. -The Crunch have dropped 6 of their last 7 games, dropping them behind Hartford for the Northeast Division lead. After coming to the Capital Region on Wednesday, they finish the season with a pair of home games against Adirondack and Bridgeport. -Syracuse has been hit by the injury bug, as they are missing captain Mike Angelidis and assistant captain Joey Mormina (coincidentally both former River Rats) due to assorted ailments. -With the NHL regular season ending, Jonathan Marchessault and Slater Koekkoek have returned from Tampa Bay, while AHL All Star Vladislav Namestnikov remains with the Lightning. -With a win over Lehigh Valley last Wednesday, the Pens locked up their 13th consecutive playoff appearance. They stand 3 points behind Hershey for the division lead with 3 games remaining. -After hosting Albany on Friday, they host Norfolk on Saturday and visit Lehigh Valley on Sunday to close out the regular season. -Rookie goaltender Matt Murray has had an amazing season. 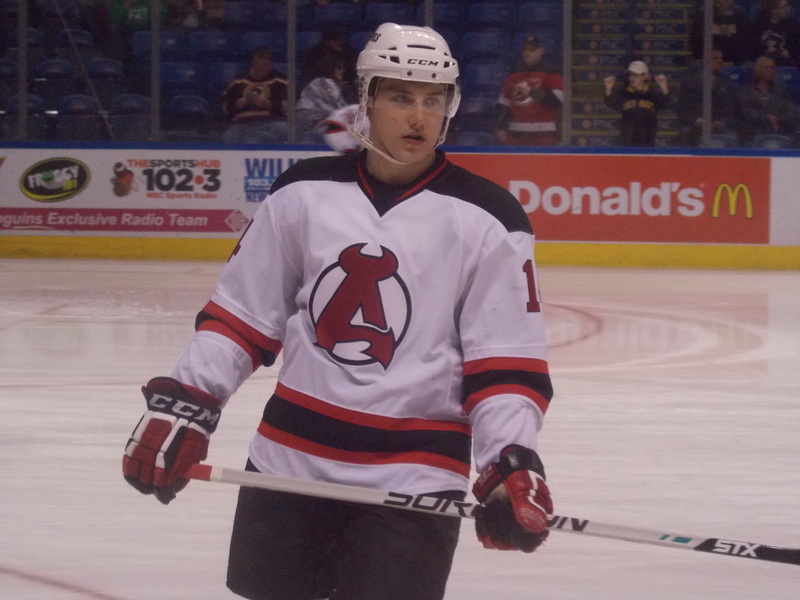 He was recently named to both the AHL’s First All Star Team and the All-Rookie Team. He currently has 12 shutouts, one short of the AHL record set in 2003-04 by Jason LaBarbera. Season Series: Hartford leads 6-3. -The Wolfpack climbed into the top spot in the Northeast Division thanks to a slumping Crunch team and winning six out of their last seven, including their last 5 straight. 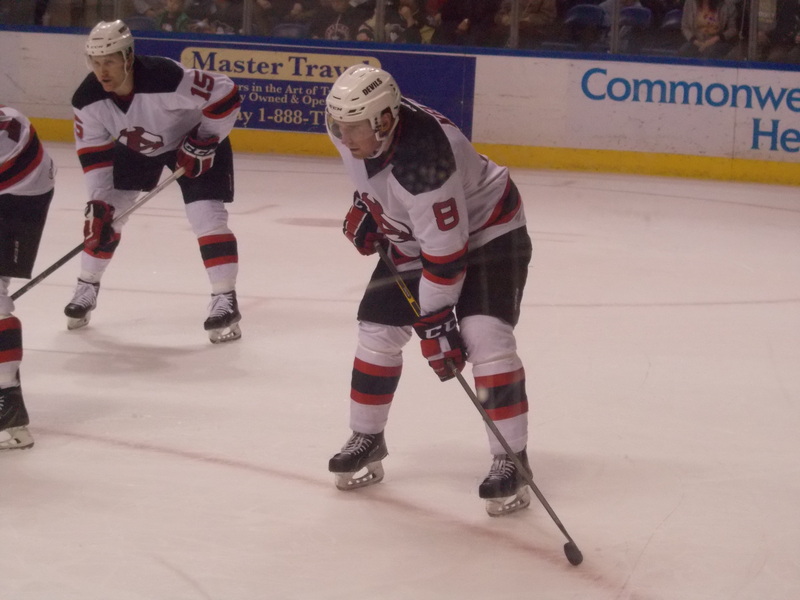 -Hartford finishes with a 3 in 3 weekend, hosting Bridgeport in their home finale on Friday before traveling to Albany on Saturday and Bridgeport on Sunday. -Forward Chris Bourque, fifth in the league in scoring and leading all Hartford scorers, was named to the AHL’s First All Star Team last week.